Is this about Michal Galkin, the co-author of this book? 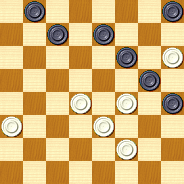 This is one of the best draughts books that I know. It contains beautiful combinations, in very natural positions. For me it is like art. M.Galkin - the first USSR champion (1966 ) by drafts composition at 100-cell board , USSR master by checkers-64 and draughts-100 passed away. Two new compositions of mine I dedicate today to the remembrance of Mr. M.Galkin . White have a win . 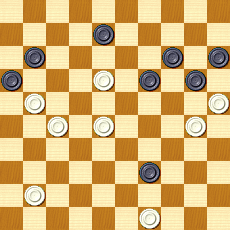 White starts and have make a draw .